1. 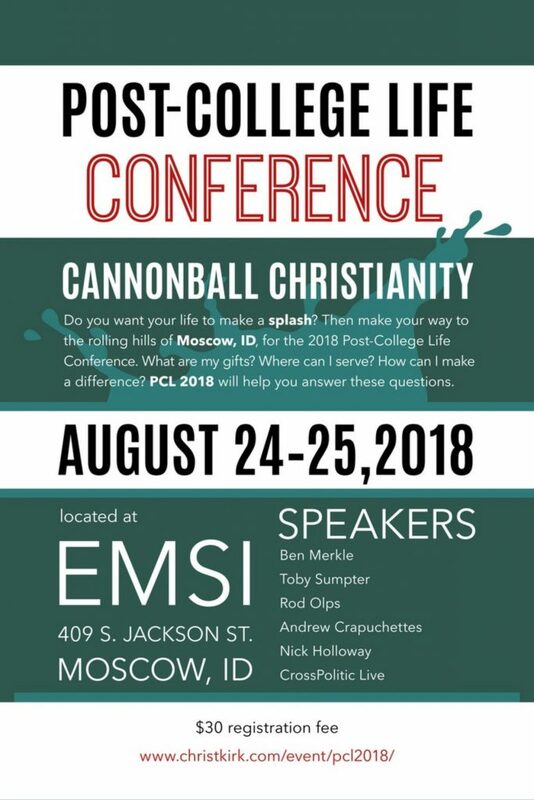 The 2018 Post College Life Conference will tackle the theme of Cannonball Christianity. 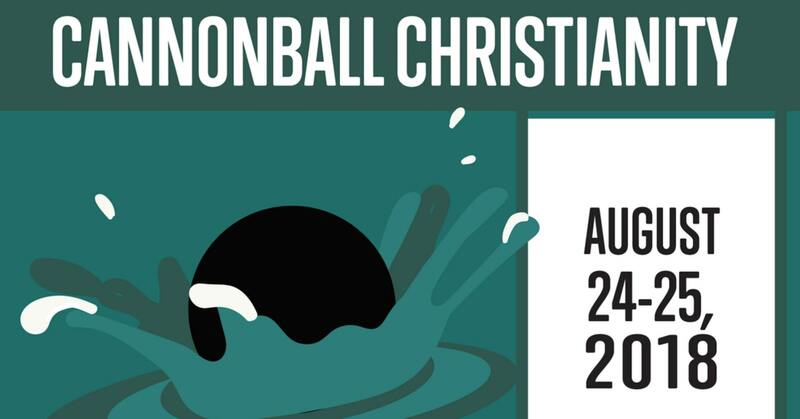 Who doesn’t like cannonballing? 2. There will be lots of good food provided for attendees. Who doesn’t like good food? 3. This is our third annual conference. The last two were so encouraging and inspiring, you just don’t want to miss out. This is one of those times to just get on the bandwagon. 4. Registration is going up to $40.00 after August 10th. Save yourself the heartache of losing $10.00 for no reason other than procrastination. We wouldn’t wish that pain on anyone. 5. The first 50 REGISTRANTS will be entered into a drawing to win a $75.00 gift card to Canon Press! This is a big deal, people. A big deal. Early-bird Registration is coming to a close! On August 10th at 5pm, the registration fee will increase to $40. The first 50 registrants will be entered to win a $75 Canon Press gift card, so register NOW.